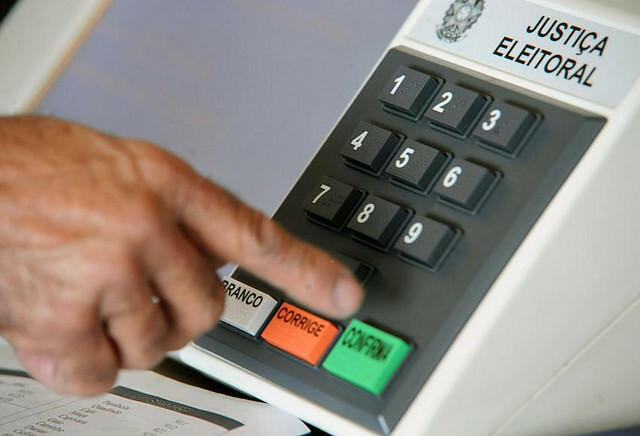 Brazil’s major pollsters released surveys this Saturday, Oct. 6, on the eve of the country’s elections, when millions of Brazilians will vote for president, governor, and federal and state representatives. The data show the presidential race will be settled in a runoff vote between left-wing Workers’ Party presidential candidate Fernando Haddad and far-right Jair Bolsonaro. The polling firm Datafolha showed Jair Bolsonaro at 40 percent of voting intention, growing one percent since previous poll, followed by Haddad, who maintained the same poll numbers as the previous survey, at 25 percent of voter support. Centrist Ciro Gomes is at 15 percent, followed by right-wing Geraldo Alckmin (7 percent), and center-right candidate Marina Silva, at 3 percent. The pollster interviewed 19,536 voters in 382 cities between Oct. 5 and 6. The margin of error is plus or minus 2 percentage points. According to Vox Populi, Bolsonaro is at 34 percent of voting intention, followed by Haddad at 27 percent, Ciro Gomes at 11 percent, Geraldo Alckmin at 5 percent, and Marina Silva at 2 percent. Two thousand responders were interviewed this Saturday in 121 Brazilian cities. Another poll released tonight, by Ibope, had Bolsonaro at 41 percent, while Haddad maintains a solid second place at 25 percent. Ciro Gomes is at 11 percent, followed by Alckmin (7 percent), and Marina Silva (3 percent). The poll was conducted between Oct. 5 and 6 and interviewed 3,010 voters. The margin of error is also plus or minus 2 percentage points. If no candidate wins a majority in the first round, a runoff vote will be held on Oct. 28. Datafolha shows Bolsonaro and Haddad in a technical tie, at 45 and 43 percent, respectively. Both Vox Populi and Ibope showed Bolsonaro at 52 percent and Haddad at 48 percent in a runoff vote.